I stumbled on a rare find when cruising through YouTube today. 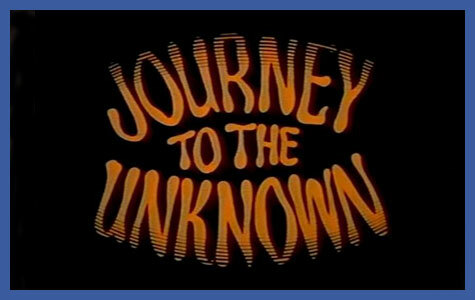 Do you remember a British anthology fantasy/horror series that aired on ABC in the U.S. called “Journey to the Unknown“? Anyway, I found most if not all the episodes under “The 60’s horror Realm” page. You’ll have to scroll a bit to find the episodes. The quality is very good. I thought the other members would like to watch them. I figured YouTube is free and some people may not have access to Netflix Streaming. UNK SEZ: Thanks for the great tip Ozne! I watched the first episode “The New People” this morning and thought it was excellent! It turns out it was written by CHARLES BEAUMONT the brilliant mind behind so many classic TWILIGHT ZONE episodes!